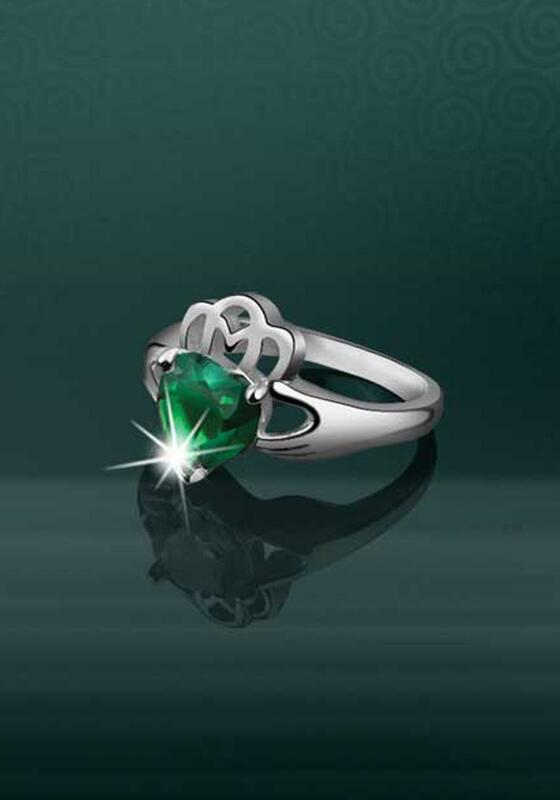 This striking Emerald Ring from the Maureen O’Hara Collection features a Claddagh motif, with large heart shaped simulated Emerald as the centrepiece. 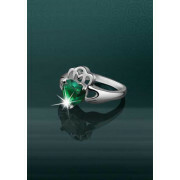 Also available in this style are a matching pendant and bracelet. Presented in Maureen O`Hara gift box.